Howard Chadwick Funeral Service is an independent family business serving Wallingford and the surrounding area of South Oxfordshire and Berkshire. We offer all types of funeral both traditional and the more unconventional. We pride ourselves in providing an individual service. We give help and professional advice to anyone at what can be a very difficult time. We endeavour to carry out your wishes to a professional standard. We are members of SAIF and uphold their code of Conduct. 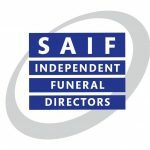 We are experienced in arranging funerals for all religions and beliefs; we have conducted and arranged funerals throughout the United Kingdom and can also make arrangements for the transport of the deceased to and from abroad. We also offer The Golden Charter pre-paid funeral plans if you wish to plan and pay for your funeral in advance.